are requested to be present at 9:30 AM. September 2012, DEF-CON Meet (Bangalore Chapter) is the platform for the presentation of new advances and research results in the fields of theoretical, experimental, and applied Computer Technology and Science. The paper presentation held as part of The Meet attracts some of the best minds from all over the country. Participants are invited to present papers spanning various research topics pertaining to the different branches of engineering. PS: This is just a sample, the topics can be anything and everything related to computer science and security engineering. Your submissions should follow the following format. We have scheduled our null+g4h Chennai Chapter Monthly Meet on 19th May,2012. Null, Open Security Team scheduled mumbai chapter on 26th April,2012. -Types of malware - Introduction to types of malwares. Basics of virus worm and Trojans. -Introduction to Rootkit - Where Rootkit stands in current scenario. -Working of Rootkit-Details of how Rootkit work. As a Penetration Tester or Security Auditor it is necessary to identify as much attack surface as possible. We can obtain this result by leveraging publicly exposed information.OSINT helps a penetration tester identify larger attack surfaces. We shall also look into ways to fix this.We shall see demonstrations information gathering which an attacker may use against real world targets. Null Team scheduled the next Pune monthly meet on 21st April,2012. As usual ,there is no registration . We have re-scheduled the Null-Chennai monthly meet on 31st March,2012. Sorry for not having on the discussed date due to non availability of speaker as well venue we are not able to make it on 24th March. 1) The Art of UI-Redressing - Ahmed Nafeez. 2) News Byte - Sukesh Reddy. 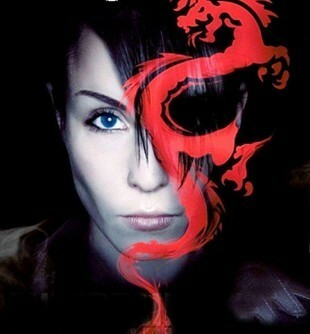 3) IronWASP - Lava Kumar. If you have any queries , feel free to contact Nitesh Betala. NULL, Open security community, has scheduled the Next NULL Mumbai chapter meet on 29th March, 2012, Thursday. As usual, there are NO FEES to attend the meet. Vicky Shah is the Founder and Principal Consultant of The Eagle Eye.He has 7+ years of experience in the Information Security domain specializing in Cyber Security, Cyber Crime Investigations, Cyber Law and Cyber Forensics. Vicky is an ACE(Accessdata Certified Examiner) and ISMS-ISO27001 Lead Auditor. tools and programming libraries to automate scanning of large networks. We will demonstrate some tools we have developed for this purpose. Rajesh Deo is a Security Analyst with NII Consulting. in programming, automation of VA/PT scans and web services. Null Delhi Chapter March meet is approaching. Call For Paper (CFP) is open for speakers interested to share their presentation/white paper with community members. Send your papers to this mail address "ishan.inbox@gmail.com" for nominations. Next Null Chennai Meet is scheduled on 25th, 2012. null is an open security community for ethical hackers, security professionals and security enthusiasts. It was founded by Aseem Jakhar in Jan 2008. Marat Vyshegorodtsev - What is DEFCON Group? Pleased to announce this month's meeting on 29th January 2012 at USO House. About Ishaan : Ishan Girdhar working as an infosec Consultant at AKS IT Services Pvt. Ltd. He also completed MCSE, CCNA, RHCE and CEH, his main area of interest is in Web/Mobile Application Security. His other areas of interest includes photography, blogging and reading. For any Query, Guidance please contact, or drop me a mail. 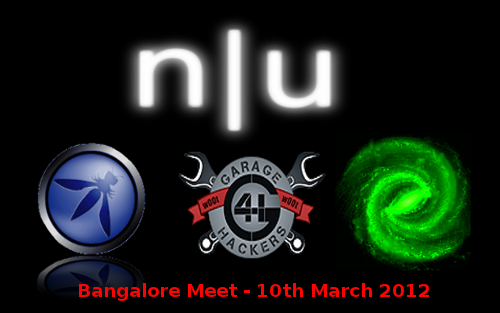 null, an open security community for ethical hackers, scheduled Mumbai meet on 26th January,2012. There are NO FEES to attend the meet. Participation is OPEN TO ALL. Spreading security awareness among the netizens. A Centralized knowledge base for security related information. It was founded by Aseem Jakhar in Jan 2008. Next DEF-CON Chennai Meeting is scheduled at the end of January ,2012(Due to lot of people having exams and semester during the months of October, November and December.). The 4th edition of our meet will be really big, we will be having more than 7 speakers and it's still counting. We have planned for discounts for the people who are coming in teams and even T-shirts for DEF-CON Chennai is also been planned. This time , i am also coming to the meeting. DEF-CON Chennai September 2011 Meet ~a Huge Success. DEF-CON Chennai (DC602028) Meet held on On 11th September 2011. BruCON, Belgium’s first security conference is back for it’s third edition on 19-22 September. After witnessing greater success in the past two years, this year’s event is expected to attract more then 400 people from around Europe. 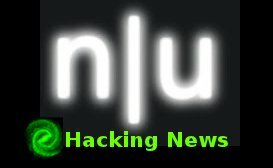 BruCON conference aims to create bridge between the various actors active in computer security world, included but not limited to hackers, security professionals, security communities, non-profit organizations, CERTs, students, law enforcement agencies,academic researchers, etc. BruCON is organized as a non-profit event by volunteers. A group of security enthusiasts decided that it was time in Belgium to have its own security conference. A lot of countries around the world already had these kind of conferences to discuss and present research on computer security and related subject matters. This group of volunteers wanted Belgium not to be the last to have a similar conference. The event features more then 27 speakers including a keynotes with Haroon Meer (Thinkst.com,South-Africa) and Alex Hutton (Verizon Business, United States), presentations from Stefan Friedli (scip AG, Switzerland), Ian Amit (Aladdin, Israel), Didier Stevens (Belgium), Joe McCray (Strategic Security, US) and many more. Besides a presentation track, BruCON is providing a double workshop track where attendees can participate in technical training sessions and it also hosts a security competition, The Hex Factor, where people can practice and improve their technical competencies.